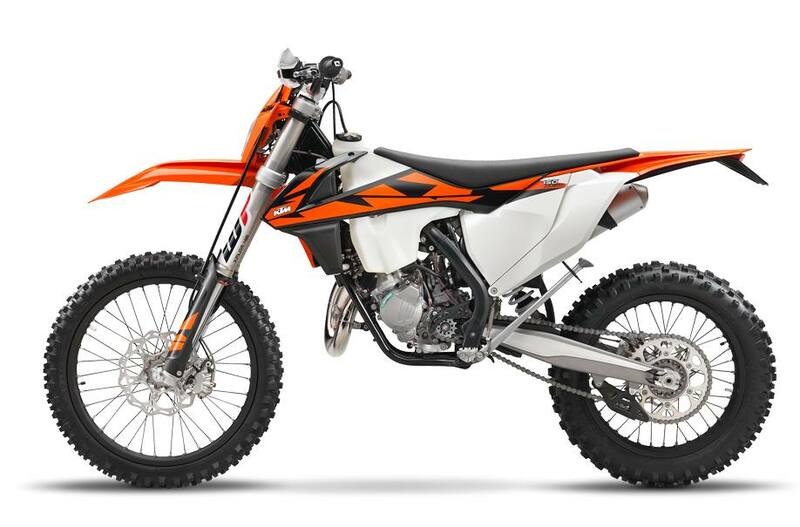 Engine: The KTM 150 XC-W engine is the most powerful and most competitive engine in its class, providing precisely the kind of power an Enduro rider wants. This 150cc ripper has been developed with the latest KTM engineering know-how and the most advanced technology available. The results: whopping power and mountain conquering torque across the entire rev range, while being extremely compact and light. Crankcases: Lightweight, die-cast crankcases featuring a high crankshaft and clutch shaft position, located close to the center of gravity, which results in optimal mass centralization and outstanding rideability. In addition, the engine body is extremely lightweight and compact, while still able to house an E-starter. And because looks matter, the engine covers feature an advanced surface structure in order to reduce the wear caused by the rider´s boots. 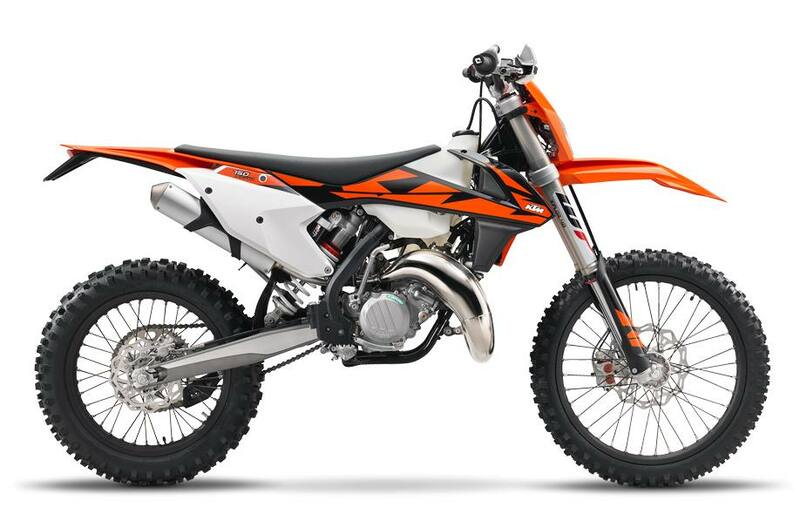 Carburetor: The KTM 150 XC-W is fitted with a MIKUNI TMX carburetor. This 38mm flat slide carb lives to provide smooth and controllable power all the way up to the rev limitation. With a new intake manifold the carburetor is turned 7° to reduce the overflow of fuel. And it’s less sensitive to different altitudes and temperatures, so you can pin it wherever, whenever. Frame: The high-tech, lightweight chrome-moly steel frame has a knack for easy handling, outlandish rideability, precise cornering and excellent stability. You can also count on high torsional rigidity and low longitudinal stiffness. This results in better absorption of the energy created from the front and rear suspension sucking up jumps and bumps. In short: more comfort and less rider fatigue. Laterally attached, lightweight engine head stays (the connection between cylinder head and frame) contribute to a reduced vibration level. Two threaded inserts in the lower cradle tubes allow for safe fixation of an optional skid plate. The engineers were able to pull off all that, while making the frame two pounds lighter than that of the lightest competitor on the market. In addition, the frame is easier to maintain, easier to work on and supplies more space for the tank and other components. The bike also features an extra-light aluminum subframe, which weighs in at less than 2 pounds. E-Starter: The design of the 150cc engine offers a home to the best perk in the dirt bike world: an E-starter powered by a reliable lithium ion battery. This magic button´s benefits are clear, especially for those of you looking to compete on an extreme level. Air filter box: The air filter box design offers maximum protection of the air filter against soiling, while ensuring maximum airflow in a quiet way. The large Twin Air filter is mounted in a stiff cage, which at the same time holds the system in place. This design is so simple, you could still pop a fresh one in with a face full of mud. Without tools. In seconds. Battery & Wiring harness: These engines are fitted with KTM’s proven E-starter – a unique KTM feature and a major benefit at all levels of motocross racing. A super compact lithium ion battery breathes life into the engine, while offering three times the starting energy of a conventional battery. The battery and wiring harness are centralized in a compartment above the air filter box, allowing the mechanic to remove the subframe without getting in conflict with the electrics. A happy mechanic, is a good mechanic.